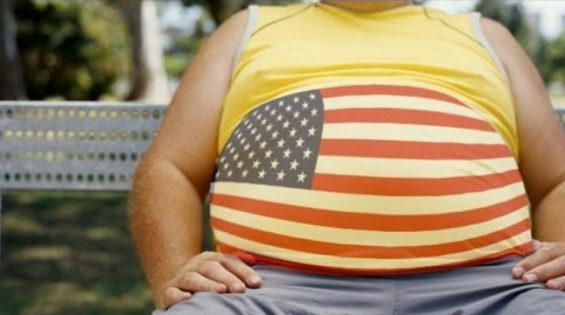 (Daily Sheeple) Obesity rates continue their upward trek, and new data is suggesting that if these trends continue, over half of Americans will be obese by the year 2030. After leveling off some in men, the obesity rate is once again, trending upward and quickly. Already, almost 40% (39.8%) of Americans are obese according to the CDC (Centers for Disease Control). That isn’t just “slightly pudgy” or “having curves.” This means their BMI (body mass index) is over 30. While it is true that BMI is not an indicator of the percent of body fat a person carries, it doesn’t take more than a glance around to prove that as a people, Americans are expanding in size. And doctors agree that BMI is an effective indicator of obesity and its corresponding health risks in everyone other than bodybuilders. According to Medical Express, for example, among U.S. men, the rising rates of overweight and obese males seen since 1999 leveled off between 2009 and 2012. But they took off once again in 2015-2016 when 75 percent of men were overweight or obese. Among women, according to the same study, 41.5 percent were obese by 2016. At that point, 69 percent of U.S. women were either overweight OR obese. Should these trends continue, half of Americans will be obese (not just overweight) by the year 2030. “It is unlikely that obesity and related health problems in the U.S. will become less serious in the future,” said Dr. Youfa Wang, a professor at Ball State University, in Muncie, Indiana. “We need to continue and enhance our efforts in fighting the obesity epidemic.” Health does not seem to be a priority for a nation who seems to want to demand socialized medicine and “Medicare for all” while chowing down on Big Macs and fries with an extra large soda. A common misconception is that people can be “healthy at any weight,” but doctors and emerging research say this is simply untrue. The most common health risk is heart disease. The concept of “healthy obesity” emerged in the 1980s as a way to describe obese individuals who had no metabolic risk factors. Recently, however, the idea has been challenged. A 2015 study that tracked more than 2,500 men and women for 20 years found that over time, more than half of the obese study participants developed elevations in metabolic risk factors. Some medical experts fear the term “healthy obese” discourages both physicians and their patients from thinking about weight loss and overall body fat reduction as an approach to disease prevention.